I was born in Devon, though spent most of my childhood growing up in Tiptree, Essex (very close to the jam factory). I moved to Bury St Edmunds to do my nurse training in 1988 and my first job after qualifying was on an orthopaedic ward. I did this for about a year and then moved to a general medical ward, which was where my interest really lay. It was on the medical ward that I started to become more interested in the specialised area of Coronary Care and in 1995 I had the opportunity of a job there. I did the specialist Coronary Care course in 1996 and spent the next 17, very happy years there. I gained lots of knowledge, worked with a great team and thoroughly enjoyed looking after the patients. There were some challenging times too and lots of changes over the years to adapt to as new research is constantly developing the service. In 1995 I also got married and went on to have 3 beautiful girls; Emily (now 19), Anna (16) and Rosie (12). They keep me very busy and the challenges of family life meant cutting down my hours at work and working lots of nights to juggle things! Then in 2007 Kate Turner asked if I was interested in working for Upbeat on the Friday evening rota. I knew a bit about Upbeat but when I went along and saw the enthusiasm of the clients, the excellent exercise on offer and the obvious sense of friendship and support between people, I was hooked! This is now my 10 year anniversary with Upbeat and its remains as positive and enthusiastic as ever. As its popularity grew, so did its numbers and I have the privilege of working on the Friday morning sessions as a result. Working at Upbeat really developed my interest in the rehabilitation side of cardiac patients and over the last few years I left CCU and joined the Cardiac Rehab team, working with, amongst others, Kate Turner. Now as the children are getting older I find myself increasing my hours instead of reducing them but I can honestly say I love my job. 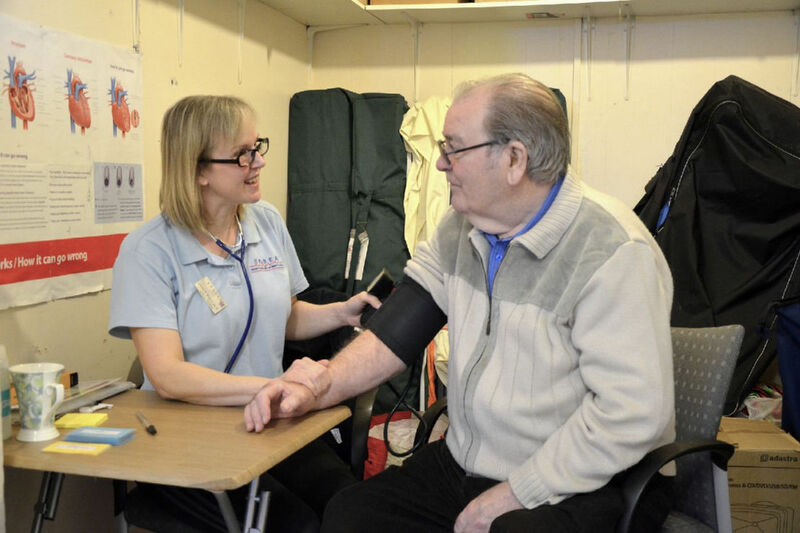 My role at Upbeat is to ensure people are well to exercise, taking blood pressures and heart rates, giving advice regarding medications and answering any queries that may arise. Sometimes I get on the exercise floor myself (though everyone knows I am the worst coordinated!). I do like to keep fit myself and am about to do my first triathlon and later in the year my first half marathon.....I blame the Upbeaters, they are so inspiring! I also love the garden when I get the chance and get great tips from a few experts in Upbeat!